The elegantly designed bridal wear features a sweetheart neckline making this a truly desirable outfit for a bridal wear. The ruched pattern looks awesome and is truly enticing and revealing. 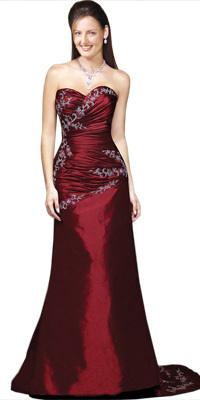 The sweetheart neckline looks amazing and is an eye catchy feature. The intricate embellishment looks fabulous adding glamour to the whole wardrobe.